2016, 2017 Pass Outs Freshers Jobs in Cognizant – 17th June 2017. 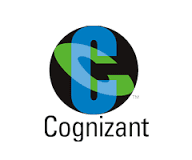 Cognizant is conducting Walkins in Coimbatore for Associate, Senior Associate – (NonTechnical) positions. Candidates who are going to appear Cognizant Recruitment 2017 can get hurry to fill vacant positions. Cognizant has stated that competitors should have Excellent Communication skills along with good knowledge in MS Office will be an added advantage. Here is the exact place to search the Details about Cognizant Freshers Jobs in Coimbatore. In this page, we have updated the latest information about Cognizant Job openings 2017. So candidates who are preparing to attend Cognizant walkin drive can refer Cognizant Interview Questions which may help you for getting the good score in the test. Job aspirants who had completed B.Com, BA, BCA, B.Sc can attend for Cognizant latest walkin drive on given dates. Cognizant will allow only 2016 and 2017 pass out freshers. If this job doesn’t relevant to your profile candidates can apply for Latest Software Jobs through this page Freshers Jobs. There is a massive competition for these vacancies, so candidates have to practice hard for this recruitment. Candidates can start their preparation by checking out Cognizant Model Papers which will be very useful for the Applicants. Candidates who perform well in the drive can only join in this post. Aspirants who are interested and eligible can apply for Cognizant Careers 2017 and for further details you can visit the official website. Cognizant Coimbatore is hiring Freshers for Non Voice Process. Consider 2016 & 2017 pass out. B.Tech, BE, ME, M.Tech, MCA, Diploma candidates cannot apply. Candidate should be comfortable working in 24/7 shifts. (especially late night shifts). Cognizant is a leading provider of information technology, consulting, and business process services. It is dedicated to helping the world’s leading companies build stronger businesses. Cognizant Headquartered in Teaneck, New Jersey (U.S.). With over 100 development and delivery centers worldwide and approximately 244,300 employees as of June 30, 2016, Cognizant is a member of the NASDAQ-100, the S&P 500, the Forbes Global 2000, and the Fortune 500 and is ranked among the top performing and fastest growing companies in the world. Interested aspirants can attend the Cognizant Recruitment 2017 which will be held in Coimbatore on 17th June 2017. Only 2016 and 2017 pass out freshers are eligible. Candidates can check official website for further details. One more suggestion to the candidates is while going to the interview must carry Proof of Identity to avoid further complications. Here we have provided the sufficient information for the candidates. We hope that above information on Cognizant Recruitment is helpful for your job search. Keep visiting All India Jobs for fast job updates.